With summer in full swing, our Optimist Clubs have been busy performing service projects out in the community. From bicycle rodeos, to car shows and pancake feeds, you've heard about them right here; but what you haven't heard about lately is what I consider to be one of the most important projects of all: club programs. That's right, club programs. Most clubs gather every week for fellowship and project planning. The clubs who are most engaged in their communities take those weekly meeting opportunities to have guest speakers. Guest speakers explain what is happening in their organizations and give their perception of what is needed or what is good in the community. It's a great way to learn how and where the Optimist Club might fit in. It's also an easy way to read the business and community service climate and take notice of trends so your club can act accordingly. Of course sometimes guest speakers can be entertaining and other times merely there to generate awareness for their cause. The reason for this post came from an article that I saw in the Richfield Community News & Voices. Last week, the Optimist Club of Richfield, MN welcomed Joseph Imholte, Director of Special Exhibits, Science Museum of Minnesota to their meeting. He was there to promote the latest traveling exhibit "Tutankhamun: The Golden King and the Great Pharaohs," on display through Labor Day. According to Imholte this is truly a once-in-a-lifetime opportunity to see these artifacts. Isn't that the truth? 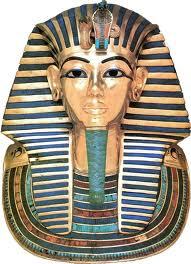 Can you imagine your Optimist Club making certain that children of all ages have the opportunity to see King Tut? Can you imagine them taking their families and friends to the exhibit as well? Wouldn't you? Being part of an Optimist Club means learning about what is going on in the community so you can share the experience with others. Make sure that you are inviting speakers to visit your club frequently, if not every week. You'll learn more about the place you call home and as a bonus, share your love of optimism with new people every week. Optimist Club Bike Rodeos are a way to connect your Optimist Club with the children in the community. Most important, they allow children the opportunity to meet with police officers on friendly, helpful terms. 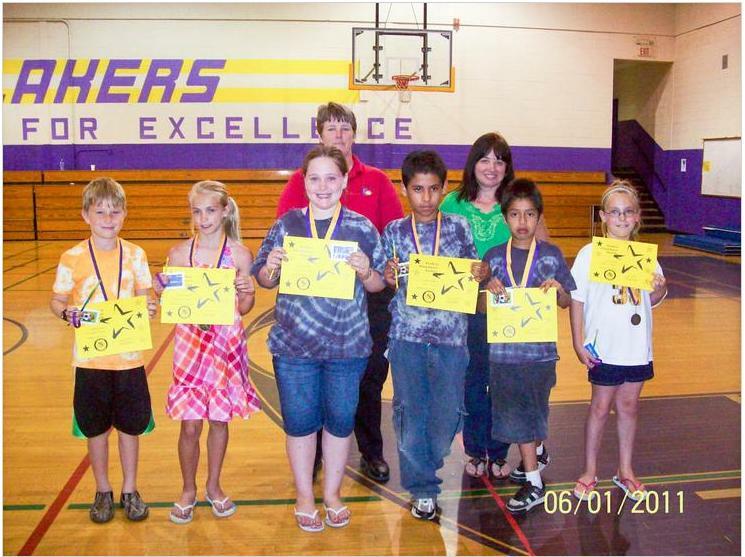 The Optimist Club of Chehalis-Centralia, Washington held their annual bicycle rodeo on June 18 and as you can see in the pictures, none were too young to participate. They also welcomed one young lady in a wheelchair, and were able to teach safety on wheels to all. Helmets were given away to those who needed them and at the end of the event, all participants received goody bags. Three young cyclists had their names drawn at random to take home new bicycles courtesy of the Optimist Club. I'm not a big fan of reality television shows, but I have watched every episode of The Apprentice, celebrity and otherwise. During the last season, it was interesting to watch the star power solicit over one million dollars for one evening of charity. Yes, they are stars; I get that, but celebrity or not, each proved that they still had to be likable. Their coworkers had to like them. Their fans obviously like them and then they were able to claim new followers along the way. Yes, there was bickering and a little drama from the clash of personalities and integrity being called into question, but in the end, good won over evil,just as we are taught is supposed to happen. He sad part,is someone still had to place second for someone else to win. Another show has captured my attention this summer, The Voice. In a similar manner, the producers have taken likable, nice, celebrities, and this time partnered them with some raw vocal talent as coaches. Their proteges have then performed before a live and television audience. In order to move on in the contest, both the coach and audience had to agree on their readiness. What I like most about the program is the young hopeful faces were joined by more mature contestants and each have been excellent in their own way. It has been especially gratifying to watch the audience pull for non-traditional talent, reminding us that with hard work and a little luck, you can reach or dreams or at least discover the path to success. My choice for Music Sunday is one of those non-traditional stars-to-be. She captured the attention of all of the coaches and the world with her unusual tone. It was her innocence; however, that captured their hearts. She won't be moving on this week, but I think she will be back someday soon. Please enjoy Xenia with Price Tag. 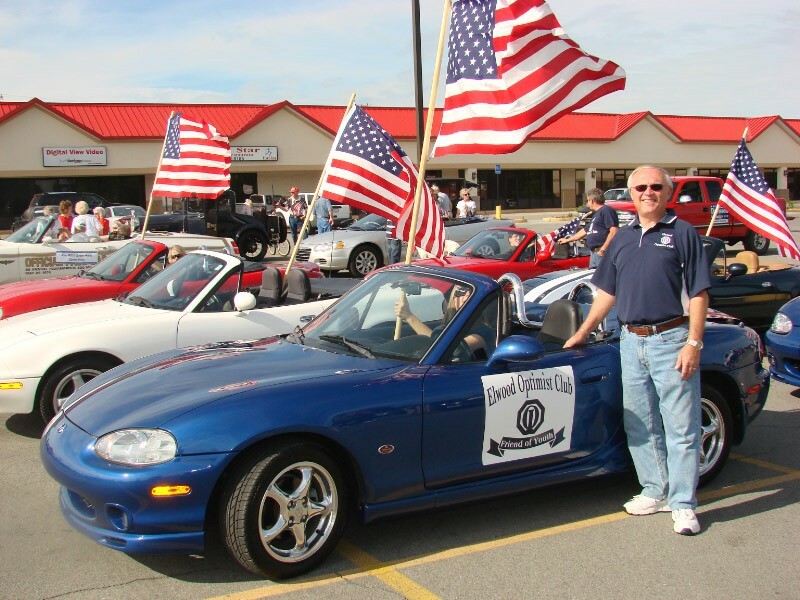 Car shows are a popular fundraising activity for many Optimist Clubs. 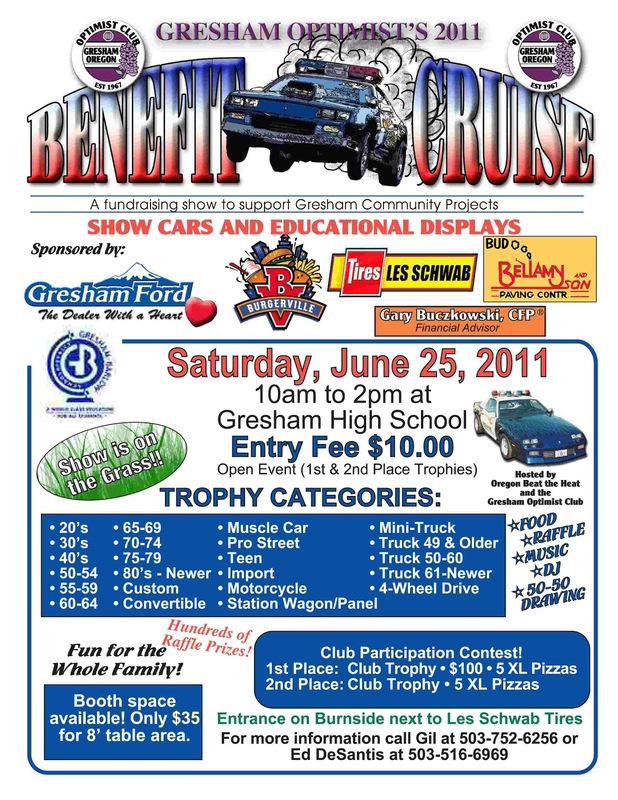 This Saturday, June 25, the Optimist Club of Gresham, Oregon will host the annual Beat the Heat Cruise-in at Gresham High School, 10:00 a.m. to 2:00 p.m. There will be food, raffles, music, and a 50-50 drawing; plus trophies will be awarded in 23 categories and clubs have new opportunities for participating. Vendor booths are available. 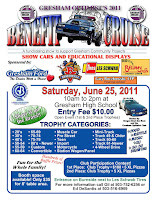 Beat the Heat is a program of the Gresham Police Department, sponsored by the Gresham Optimist Club, that works to keep drag racing off the street. Find out more about the Oregon Beat the Heat on Facebook. There are chapters in 35 states across the US. "All You Need is Corn"
It's back! The Bixby Green Corn Festival will start tomorrow, Thursday, June 23 and run through Saturday evening, June 25, Charley Young Park, Bixby, Oklahoma. Presented and coordinated by the Bixby Optimist Club, the Green Corn Festival brings the community together for weekend of old-fashioned family fun and entertainment. 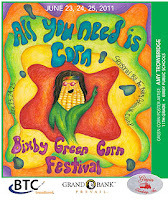 Download the complete schedule here: Bixby Green Corn Festival 2011. Be sure to note the times for free roasting ears - while they last, the talent show, contests for all ages and skills, and the Green Corn Parade. End your evening with the Bixby Round Up Club Rodeo or with music at the Charley Young Park Gazebo Stage. The celebration will wrap up on Saturday evening with a Street Dance, north of the park, featuring Danny Davis & His Detours Band. The Bixby Green Corn Festival is now in its 36th Year. It's a great example of how a service club can bring the community together to play and grow. Fast drawing videos always enchant me. It's only right that Enchantment author Guy Kawasaki should have his own, saved now for posterity. In it he speaks of the three pillars of enchantment: likability, trustworthiness and a great cause. I think these three pillars fit so well with the theme of my blog: optimism. Experience the fast draw, experience the optimism, and most of all experience the enchantment that you bring to others each day, beginning with your smile. One of the greatest service projects that Optimist Clubs perform is to help start up a new Optimist Club. A new Optimist Club will serve a new set of children and expand opportunities for adults to develop their leadership skills. New Optimist Clubs also serve a vital community development function, bringing people together to raise money for projects that they identify they need to make their town a better place to live. I've been involved in numerous new club building efforts and it's always rewarding when the project catches the attention of the local news. That's what is happening here in Terre Haute, Indiana where WTHI has announced how residents can get involved. Heading up the new Optimist Club is Dennis Bialaszewski. He says the club will be different from others, and will meet monthly only to "share ideas, set projects and complete activities." 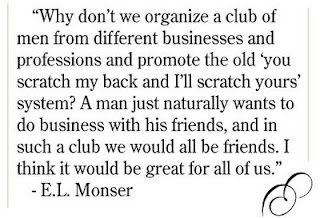 The beauty of being an Optimist Club over any other service club is that each club is autonomous and the agenda that best fits the community is the agenda that sounds just right. It isn't often that there is a choice for President-elect of international service organizations like Rotary, Lions, Kiwanis, or Optimist International. Even though bylaws may allow additional nominations, most candidates run unopposed after being presented by a Candidate Qualifications Committee, from what may appear to be an exclusive group. In order to shed that appearance and to be more inclusive, Optimist International has amended their bylaws to make running for office better understood. Four additional bylaws amendments will also be presented this year. Most exciting, however, is there is a second candidate this year for the position. In addition to the Candidate Qualifications Committee pick, Rocky Jackson has announced that he will run from the floor this year. Rocky is currently serving as the Vice President of the West Region and the District Governors in the region will stand together to place his name on the ballot. Rocky holds the major distinction of being the only person ever elected from the floor. In 2009, he was nominated to run against the Candidates Qualifications Committee's choice for Vice President-elect. He went on to win that election and has served the West Region with passion. I'm pleased to support his candidacy and I believe his song "Get Ready" by Rare Earth is perfect for Music Sunday. I encourage all Optimist Club members, 'Get Ready for Rocky Jackson'. Please, pass it on. I love getting emails from Optimist Clubs that want to spread the word about the remarkable students in their communities. Today I received a note from the Optimist Club of Camdenton, Missouri about their Perfect Attendance Awards at Hawthorn Elementary School. The school sets the criteria and to them, perfect attendance means the students have been in school every minute of the school year. 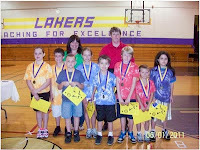 Eight third grade students and six fourth grade students met that requirement this year and received their honors during the school assembly on June1. Congratulations to every one! 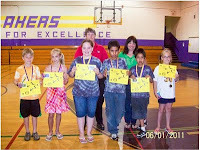 Thanks to the Optimist Club of Camdenton for the story and photos. 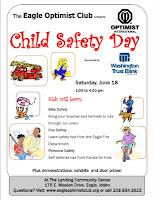 The Optimist Club of Eagle, Idaho is planning the second annual Optimist Club Child Safety Day for this Saturday. 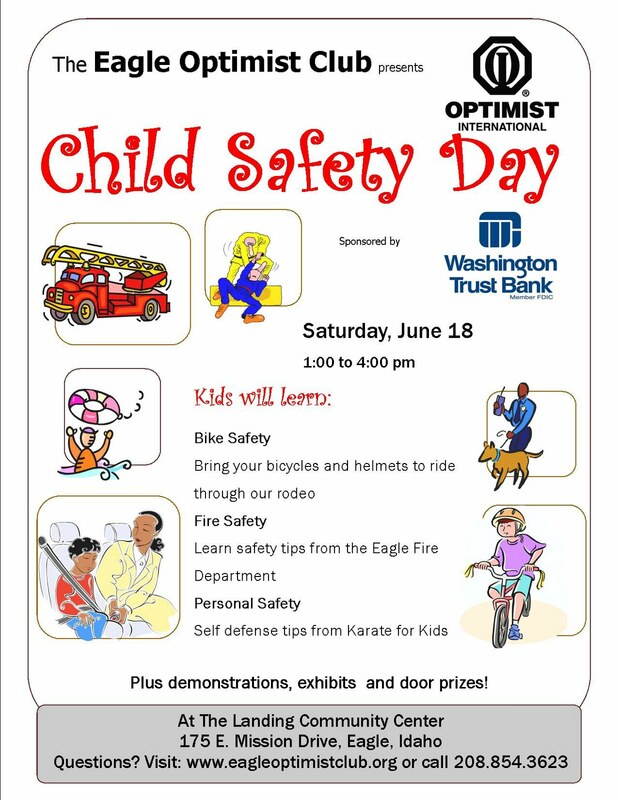 In preparation for the afternoon activity, and to advertise the Safety Day event, the club recently partnered with Washington Trust Bank to host the Family Fun Area at the Eagle Fun Days Festival. 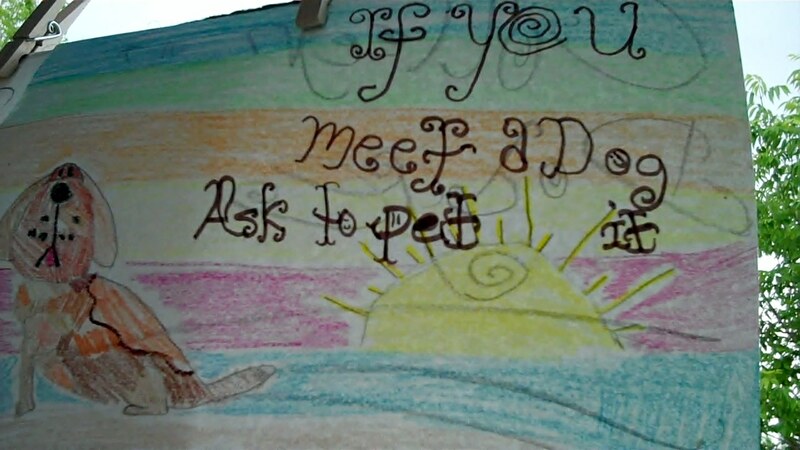 One of the booths manned by the club was an artists booth that encouraged children to think about what it means to be safe during the summer and then to draw their ideas as a poster. According to club president Gretchen Brown, it was a lot of fun for the club members to watch the young artists at work on their projects and to engage the kids in telling a story about their drawing. A winner will be drawn at random for a $25 movie pass to Edwards Cinemas. The Eagle Optimist Club is considering additional projects that will help encourage the arts. It is June 14 - the day in the United States earmarked to specifically honor the flag. Flag Day began in 1916 with a proclamation from President Woodrow Wilson and in 1949, National Flag Day was established by Congress. What does that mean for an Optimist Club? One of the purposes of Optimist International is "To promote patriotism and work for international accord and friendship among all people." One of the traditions of Optimist International, and its chapters known as Optimist Clubs, is to begin each meeting by showing respect to our nations. In the United States, we say the Pledge of Allegiance at the beginning of our meetings. It's a small matter, but an important one that reminds us that we live, work and serve together to make our community, nation and world a better place to live today and tomorrow. Optimist Clubs, like all service clubs, struggle to retain and recruit new members. Optimist International relies on clubs and members to help start new Optimist Clubs and bring services to new areas. I like to remind our existing clubs to make sure they are in good shape at home before reaching out to others. Paying bills, involving members in projects, developing new projects and encouraging new leaders will build pride and help all members feel comfortable about extending an invitation to join their club and their cause. When new members join, more projects are conceived and implemented and more opportunities for collaboration emerge. That is when it is time to reach out to start a new Optimist Club. The same can be said for our own nation; and Flag Day is an opportunity to display our pride in our country and ourselves. Every day, including Flag Day, is an opportunity to collaborate for the good of our country, our community and ourselves. It's Music Sunday, you're watching television and a Hallmark commercial comes on. One minute later, you're crying, and through the tears, you remember how much you really love and miss someone. The best commercials stir your emotions and make you want to take action. There is a commercial out there that features this song from Nina Simone, "I'm Feeling Good." I guess in the marketing world, I'd have to say it fails because I cannot tell you what the commercial is for, but I know every time I hear it, I start moving. I want to get up, wave my arms and proclaim to the world, "It's a new dawn, it's a new day, and I'm feeling good." I hope it makes you feel good too. Optimist Clubs are involved in helping keep our children safe. One of the more popular activities is a Bike Safety Fair or Bike Rodeo. It is fairly easy to teach bicycle safety and most police departments enjoy being asked to help. They often bring the the safety cones and help the young bikers go through an obstacle course. Have someone on hand to take a look at the children's bikes, make sure the chain is tight and the wheels are in good shape. Always emphasize how important it is to the use a helmet. Now, the rest of the activity is up to your Optimist Club! Add refreshments, entertainment, exhibits, raffles, drawings and other safety tips to the day. Make it fun for the family and you are sure to make it fun for the Optimist Club members too. It's summer! Time to show our kids that it's fun to be outdoors. Are there different types of Optimist Clubs? Service clubs came into being as a way to allow business and professional men opportunities for business, social and humanitarian interaction, and to meet a specific need that they saw in the area at the time they were organized. The first Optimist Club was started to address the problem of delinquent boys who were vandalizing shop owners in Buffalo, New York. News of the business owners proactive involvement in their community spread across the country, and other groups started-up as well. As they communicated their activities with one another, they built on the mission of sharing a positive outlook; and in 1919, individuals representing 11 autonomous Optimist Clubs came together to form what we now know as Optimist International. For many years, they offered a cookie-cutter model of community involvement and service. Men would come together for a meal and listen to a guest speaker about a topic of interest or need in their community. The group would discuss the issue, perhaps create a committee to address the issue, and they would act as they saw fit to "fix" the need. In the background, the spouses of these men would organize their own events including social activities for the group. It was a civic-social club that made sense for many, many years. In fact, ladies were not invited to become full-fledged members of service clubs until 1987 and it took a Supreme Court order to make it happen. The clubs were on their way to becoming more diverse. So the question, are there different types of Optimist Clubs can be answered with a resounding, "Yes!" 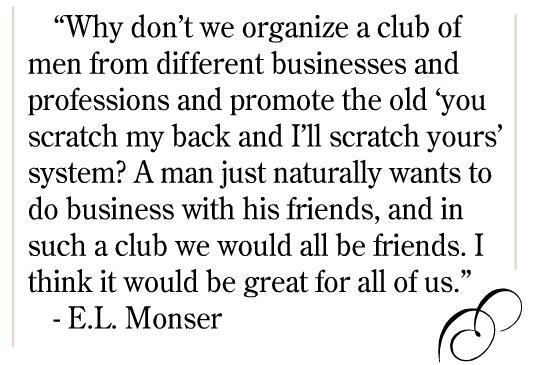 There are still traditional Optimist Clubs in the organization, made up of men and women, following the model above. However, more and more clubs are formed around a single mission, often sports. Football, baseball and soccer Optimist Clubs are widespread. 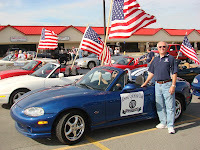 Some Optimist Clubs choose to meet weekly, others monthly, and with the growth and ease of social networking, some never meet in person except to perform projects. Some Optimist Clubs are made up of a single gender, but more often than not, they are coed. And there are some Optimist Clubs built at universities, made up of college-age students, faculty and administrators. The list goes on-and-on. Because Optimist Clubs are autonomous, there are endless possibilities for joining or forming an Optimist Club that does projects that most interest you. All Optimist Clubs are encouraged to conduct programs coordinated by Optimist International, programs that have been identified to have a universal need. However, clubs are equally encouraged to be innovative and perform projects that are unique to their community and report their activities to Optimist International via a community project book. The opportunities for service in your community as an Optimist Club, under the Optimist International umbrella is as vast as your imagination. Sound off - tell us what you need, and let us know how we can help you get started by leaving a comment here. Please click here to join an existing Optimist Club or to start a new Optimist Club in your community. Nothing beats face-to-face interaction, but we cannot deny that it has never been easier to collaborate on projects than it is today. Social media tools are readily available on the internet, and most of them are free for the taking. Using simple resources, we can connect with friends and colleagues more effectively than ever before. Recently, I was asked to give an introductory course on social networking to a group of Optimist Club and District leaders. With the Optimist International Convention approaching, I thought it might be a good time to share the presentation here as a familiarization tool. I hope it will encourage others to use social networking sites to generate more buzz and connect more readily with those at the event and those at home. Social Networking: What's Club Got to Do With It? Of course as a Slideshare embed, it doesn't have my narration, but I believe it still tells a full story for beginners. Please be sure to leave comments or ask questions. Engage! It's how we learn. 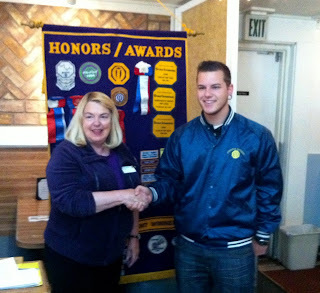 This picture shows Jamie Hamilton, President, welcoming new member Daniel Ray into the Optimist Club of Cerritos, California. 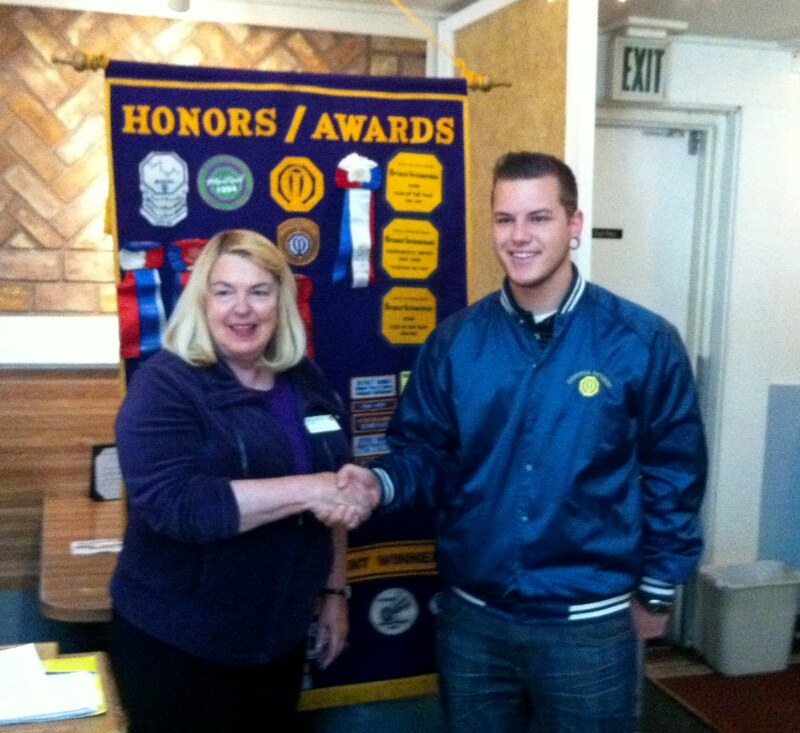 Not too long ago, Daniel was a guest speaker at an Optimist Club meeting. He was there to talk about Komputers 4 R Kids, a recycling and repurposing program that refurbishes computers. The primary mission of Komputers 4 R Kids is to keep excess electronics out of our landfills. The organization offers volunteer opportunities for children and adults. It sounds like a natural fit for an Optimist Club. Our communities, our clubs, and our businesses thrive when we collaborate on projects. The Cerritos Optimist Club has been very proactive in inviting businesses and organizations to speak to their group. According to their Facebook page, they have had 20 guest speakers this year. Thanks to their generous welcome, their club is growing. To get back to the initial question: what is really happening here? Relationships are being developed, opportunities are being explored, and a community is being served by organization, business and people coming together to do good in their communities. They are demonstrating optimism in action. Find an Optimist Club near you and offer to make a presentation, collaborate on a project, make a donation: or better still, join in and do it all. Bruno Mars says, "Girl, you're amazing just the way you are," and I think that is a powerful thing to say to anyone at any age. Optimist Clubs make children feel this way at every chance. Wouldn't it be great if we, as adults, said it to each other more often too? Please enjoy 'Just the Way You Are' by Bruno Mars for Music Sunday at Experience Optimism. Share your love, gratitude and appreciation with someone today. Tell your spouse, your friend, or maybe your neighbor just how amazing you think they are. 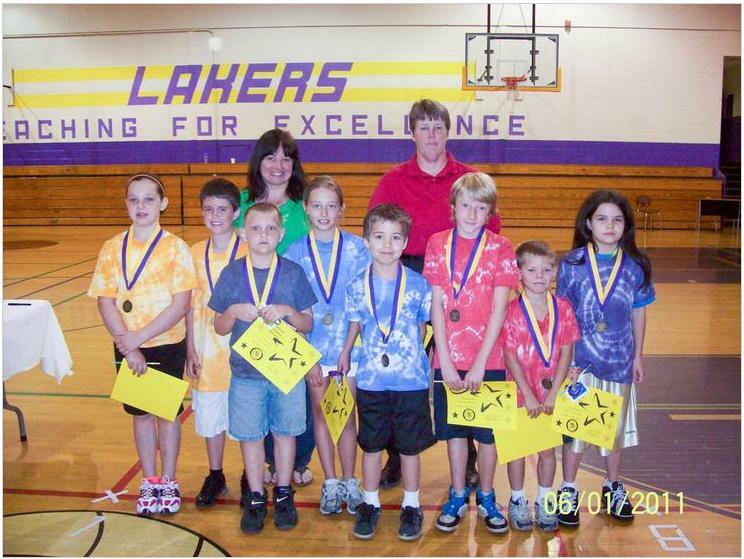 With the help of the Boys and Girls Club, the Jamestown Optimist Club presented the 63rd Annual Junior Citizen Award to students from 28 schools in Chautauqua County. The students were nominated by teachers, mentors, other service organizations and their peers for their outstanding efforts in academics and community involvement. Just another example of students being honored for being good citizens. Nicely done; kudos to all. Jordan Strahl and his father recently visited the Optimist Club of Beaverton, Oregon to request help for his Eagle Scout project. He plans to work with the K-9 unit of the Beaverton Police Department to build an 'A' frame training ramp, training fence, dog house and raised platforms. The estimated cost of the project is $1,250.72. 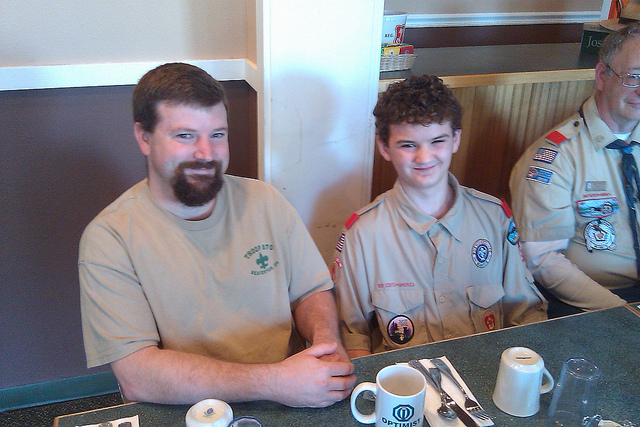 Jordan is a life scout with Troop 870, sponsored by the Beaverton Optimist Club, and club liaison Bob Arneson can be seen on Jordan's left. Optimist Clubs often sponsor Boy Scout troops as their mission fits well with the purposes of Optimist International, especially in providing community service and fostering an interest in good government and respect for law.